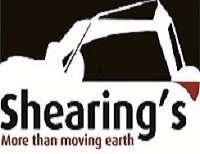 Welcome to Shearing's Christchurch Contractors. We are one of Christchurch's leading contracting companies, specialising in residential driveways and paving. We undertake site preparation, excavation and hard fill, concrete and asphalt driveways and all forms of paving. Shearing's are also accredited Mayfair Swimming Pool builders for the Canterbury region. As a division of the company, we have the advantage of full control over the pool building process - from excavation to landscaping and paving the finished product. Shearing's team of experienced concrete workers specialise in all concrete works for both the domestic and markets commercial. We offer supply, place and finish for concrete floors both large and small, tilt panels, commercial car parks and residential driveways, paths and patios. Contact us today or visit us online for more information. Shearings has an experienced team of concrete placers who is specialised in all concrete placing services to both the commercial and domestic markets. We offer supply, place and finish or place and finish service only for all concrete floors both large and small, tilt panels, commercial car parks or driveways.